We offer free support and consultation. Domain names have extensions like com, org, net. There are other domain extensions but those are called Top-level domains and it’s always better to choose one of them. The most used one is the .com extension. You can built your website for free but there is always a small cost for hosting – around 5$ a month. The choice of a good hosting provider is very important. It’s very unpleasant when your visitors aren’t able to connect with your website because it’s down due to technical or other reasons. Even more important is the security of your website. No one wants to be hacked. We recommend to our users SiteGround. They provide a hosting service specially crafted for WordPress. Their speed, security and support are one of the best. If you sign up with SiteGround, you are going to receive a free domain name along with your hosting plan – otherwise it’ll cost you 10$ a year. If you want to see their hosting plans follow this link.To learn more about them click Here. Another great Hosting provider is Bluehost. They provide you with all the essential tools a webmaster needs at a very affordable price. Bluehost also gives a free domain name. To learn more click Here. 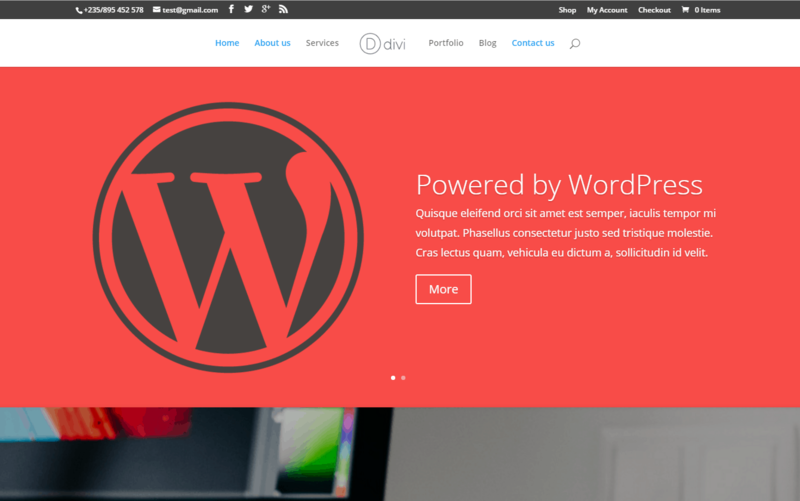 In this guide we are going to use WordPress in order to create your website. It’s the most used CMS (Content Management System). Around 25% of all websites on the Internet run on WordPress. You have access to numerous templates and plugins (extensions) both free and premium. The easiest way to install WordPress is with the use of an autoinstaller. If for some reason you don’t want to use an autoinstaller there is a manual way to install WordPress. It’s harder and it’s suitable for more advanced user. To learn how to install your WordPress manually follow the link – WordPress – Manual installation. After you’ve installed your WordPress website navigate to your Front-End – type your domain name in the browser. 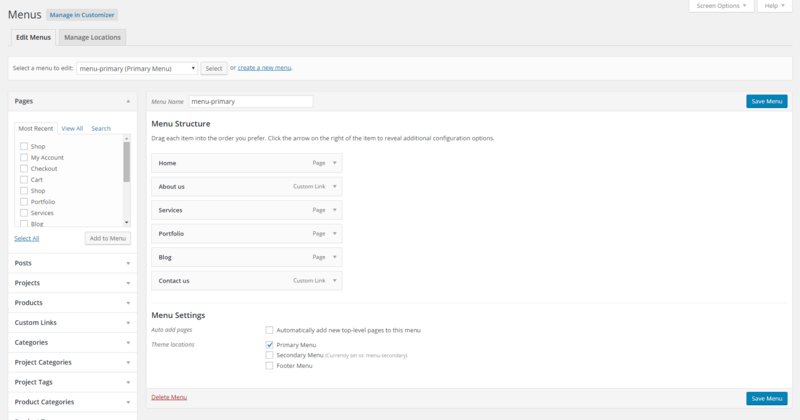 You are going to see WordPress’s default theme – Twenty Sixteen. In our WordPress guide we’ve built a website with it. 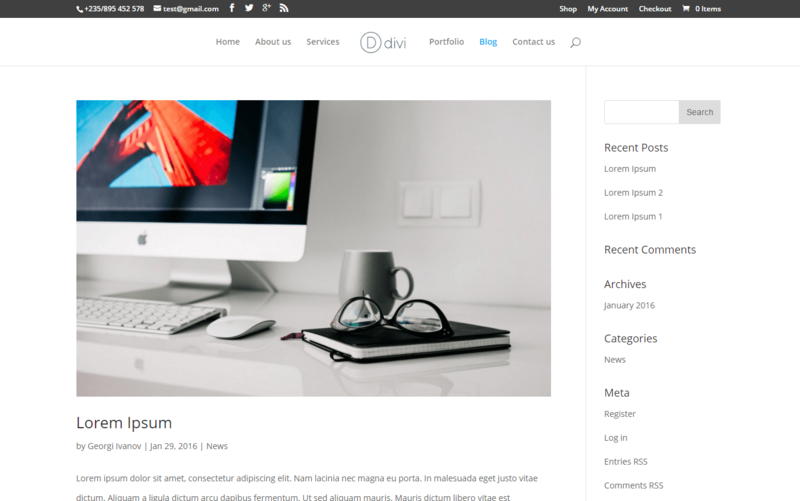 It’s a nice theme suitable for bloggers. If you want to install a new theme (template), navigate to Appearance⇒Themes in your left menu. Once there you are going to see the themes that were pre-installed with your WordPress installation. To add new ones click on the Add New Button. Here you can choose your new theme for free. Some of them have premium (paid) versions that provide you with additional functionality. 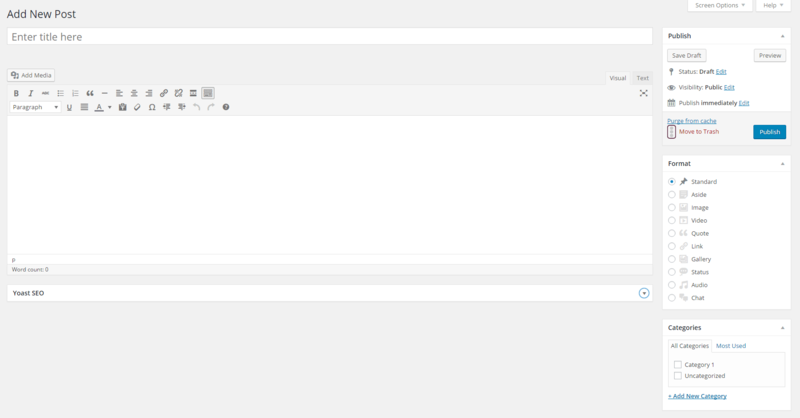 If you want to upload a new theme manually, click on the Upload Theme button. For further information on this topic follow this link. 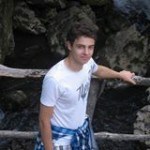 Another great place for free themes is SiteOrigin’s website. If you are looking for professionally built premium themes, you can check Elegant Themes. They are a membership website that offers 3 different subscription plans. In return you get access to almost 100 themes and 6 great plugins. Their best themes, Divi and Extra, allow you to create almost anything. 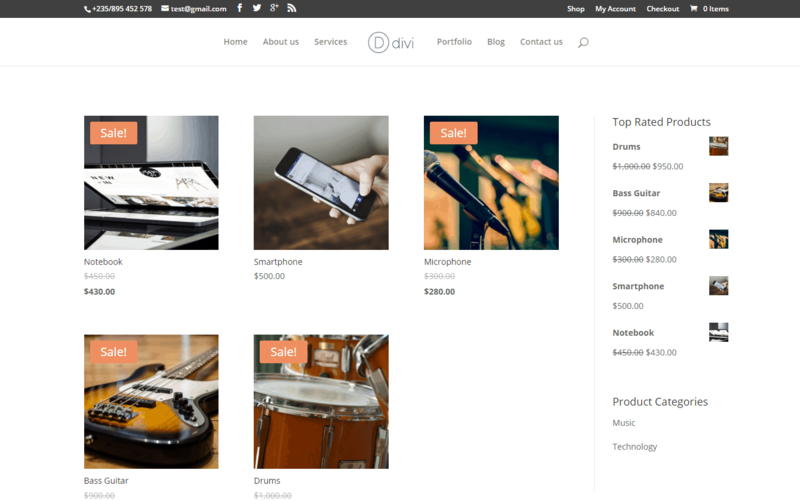 In our WordPress Guide we’ve built a website with Divi – you can check the website here and the Guide here. How to add Content to my Website? You can choose between two types of post types: Posts and Pages. Posts are mostly being used in blogs. Pages are more suitable for static information – pages like your Homepage, About us, Contact etc. 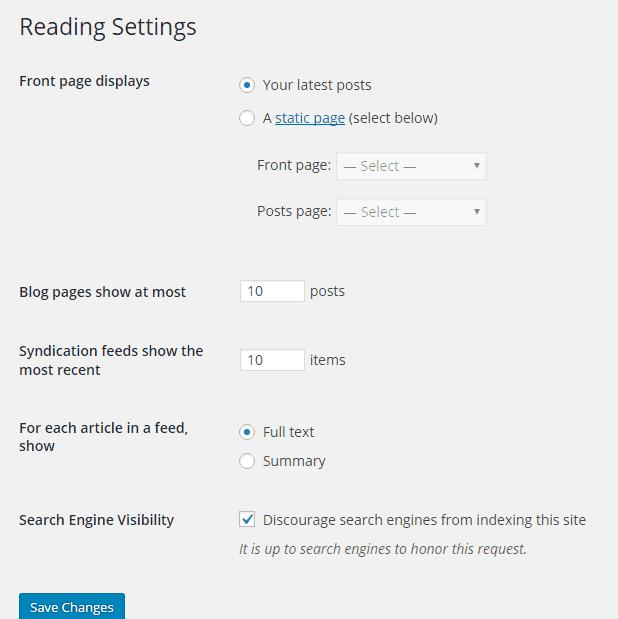 To create a new Post navigate to Posts⇒Add New in your left menu. Once there you have to choose a Title for your Post. Bellow that sections is your WordPress editor – there you have to enter your post content. Each Post is associated to a category. You can choose or create a new one from here and later set your categories as menu items. The last step is to choose you post image. Click on Set featured image and upload your image. After that click on the Publish button. For more information on how to create posts click here. To create Pages navigate to Pages⇒ Add New. The Pages page has the same layout as the Posts page with few exceptions. You don’t have the option to associate Pages to a Category. You can assign a Parent to your Page. By default the comments section for Pages is turned off. You can enable it by Quick Editing your Page. How to create a Menu? To create a menu navigate to Appearance⇒Menus. Once there you can add Pages, Categories, Custom links etc. to your menu. You can order your menu items by using the drag and drop function. In order for your menu to appear on your Front-End you have to choose a theme location. – for instance primary menu. For further information on how to add menu items and to change menu locations, check this. What are Plugins and Widgets? Plugins are extensions that allow you to further expand your website functionality. They are one of the main reasons why WordPress is so popular. To install a new plugin navigate to Plugins⇒Add New in your sidebar. Once there search for the plugin you need. After that click on install and activate. Some plugins need to be additionally configured. For further information follow this link. To see our recommended plugins click on this link. How to change my Homepage? By default your homepage is your post page (all new posts appear there). This is suitable for blogs. For other types of websites static Pages are preferred. To change your Homepage to a page of your choosing, navigate to Settings⇒Reading. Once there choose the static page option and after that select your Homepage and Post page. For further information on the above topics and much more check our WordPress Guide. If you have any questions feel free to contact us. We provide free help and consultation. Disclosure: This guide contains affiliate links. This means that we are going to receive a commission if you click on one of them and buy something. This won’t cost you anything extra. We’ve tried all hosting providers, themes and plugins that were reviewed in this guide and we recommend them sincerely. By using our links you allows us to provide free support.